There are many people who think that only dirty and filthy buildings attract rats, but that’s simply not the case. 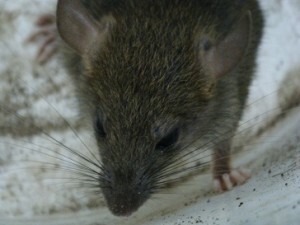 There are several situations in which rats are found in clean and neat homes and gardens. The reason for this is simple – rats need shelter, warmth and food. If these criteria are met, they can live anywhere. Rats and mice must be controlled because they are disease carriers and they can cause significant damage to any type of building. Proper cleanliness and housekeeping is the best way to save your property from rat infestation. Another good tip is to secure any place in your home or garden that can be used as a nesting location to stop them from coming. This could mean sealing off any gaps or holes that you have in your brickwork. In addition, don’t forget that if you place food in your garden for squirrels and birds. that you may be attracting rats too so be mindful of this when you are creating food stations. All these tips are useful for homeowners with their own property, but what happens if you see rats in your neighbour’s garden? If you only notice one rat in the garden of your neighbour then there’s no need to panic. Rats often pass through gardens when they are on the hunt for food. To reiterate, if you or your neighbour are leaving food for birds and squirrels it is very likely that some rats will come to see what’s going on as well! However, if you see rats in your neighbour’s garden more than once and in numbers more than one you should definitely talk to them. They might have already taken certain measures which you are not aware about or they may not know that this problem actually exists. If they don’t know how and why they should deal with rats, then there are plenty of websites and articles that you can point them to so that they can understand what a potentially damaging problem this really is. If they still don’t act and they are not interested in bringing in pest control experts the final step is to contact the local authorities and make them aware of the situation. For more advice about rat problems, please contact us now.